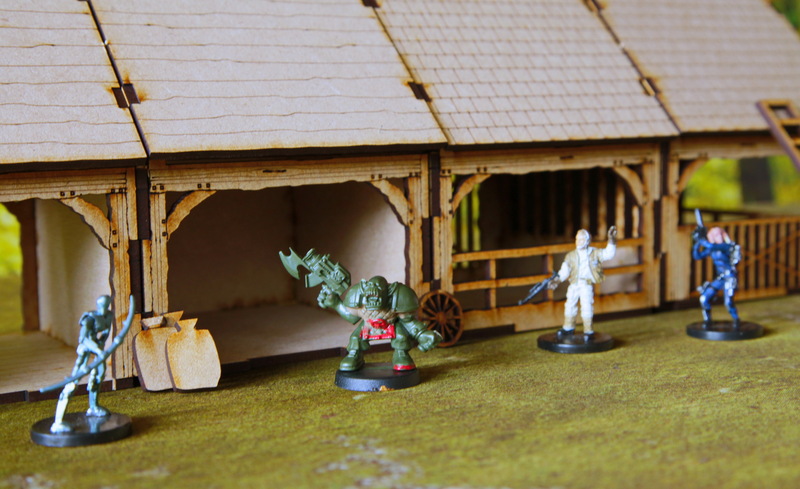 Five different barns, each with a roof. The barns come in assorted configurations with both completely open and partially open sides. Gives you great cover options and allows for varied tactical play. 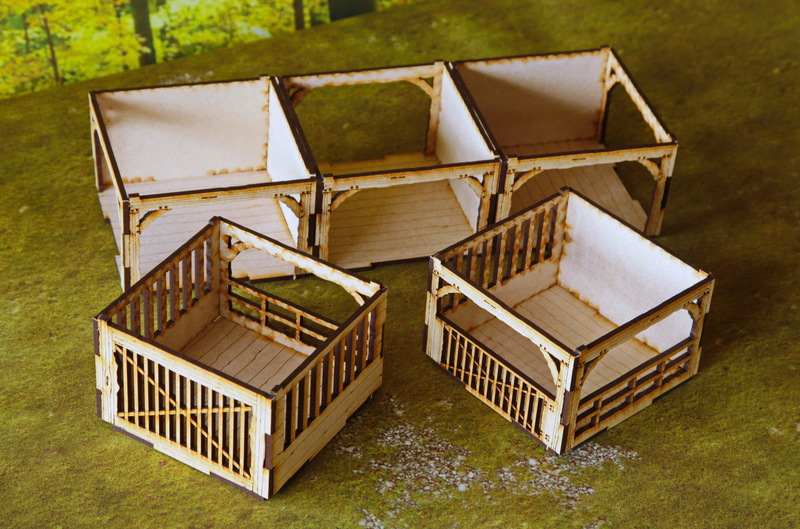 You can place three barns in a row to make one large barn, or separate them out to make separate units in a farm or village. 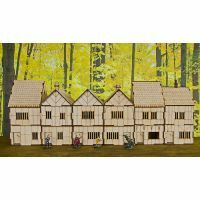 This pack includes 10 modules in all, 5 barns with a roof and miles of fencing. 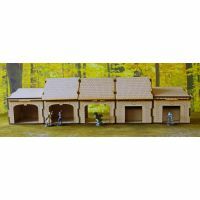 You can mix these barns with any of our other modular buildings. How about a rustic garage on the end of modern house? 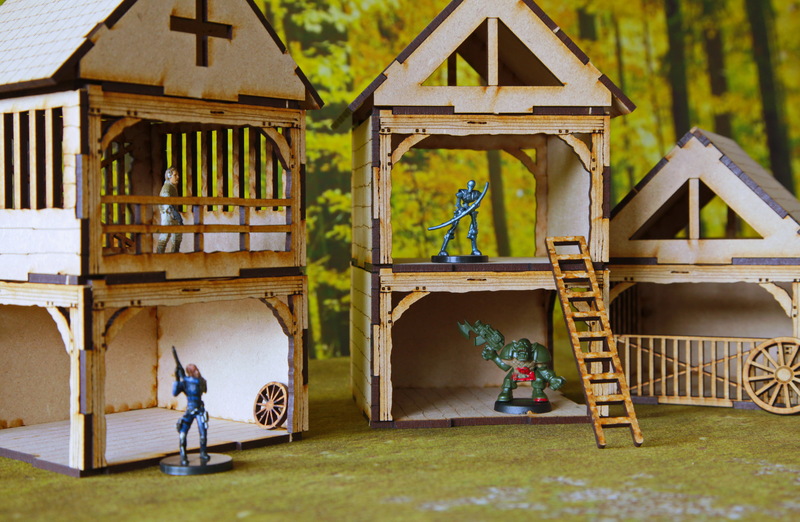 Stack them up for a fantasy lookout tower. Attach them to a pub or inn. 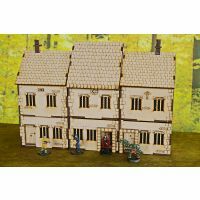 Mix them up with the our stables set and make a large courtyard compound. There are also loads of fences (so many I haven't counted them) to make field boundaries and general obstacles to movement and provide partial cover depending on your ruleset.